Garnet & Black Magazine (G&B) is Student Media's newest publication, formed in 1994 as a consolidation of the University's former yearbook and literary magazine. We focus on issues of general interest to the Carolina community, with special focus on diversity, arts & culture, and local highlights. The magazine is 100% student-produced, from articles to photography to style and design. We strive to serve as a platform for underrepresented voices. 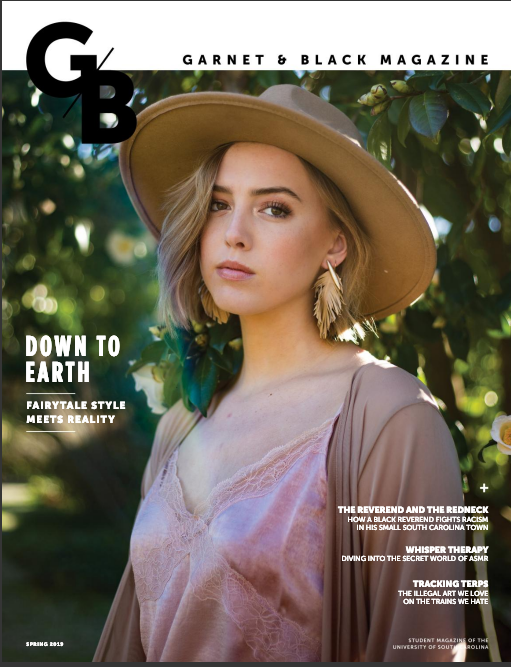 G&B is published quarterly, and is distributed free to numerous locations in the Carolina community. Want to write for us? Send us a pitch! Need a platform for your blog? Reach out to our Web Editor! Want to see your flash fiction or poetry in print? Send it our way, and we'll see if G&B would make a good home for your work. We're hiring until all positions are filled in editorial, photo, design, videography, and social media. Send us your best work! We'd love to have you as part of our team.